Line Mounted Check Valve | Tucson Hydrocontrols Pvt. Ltd. Check valves allow flow to pass in one direction, with a low pressure drop, then prevent reverse flow in the other direction. These line mounted check valves give control over flows in a hydraulic circuit. Commonly used for anti-cavitation, cooler bypass, preventing reverse suction at the pump outlet and accumulator holding. Pressure at the inlet port (Port 1) causes the poppet to lift against the spring force, allowing flow to the outlet port (Port 2). Reverse flow is prevented by the poppet reseating. 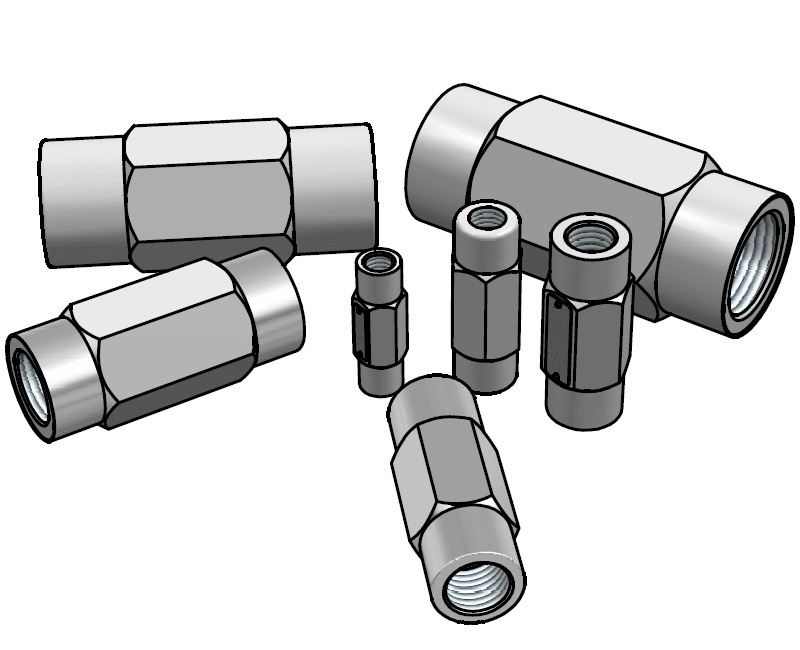 These valves use hardened and precision ground poppets. This provides an excellent flow capability and shut off characteristics with a good tolerance to particle (dirt) contamination prevalent in most hydraulic power packs and systems. 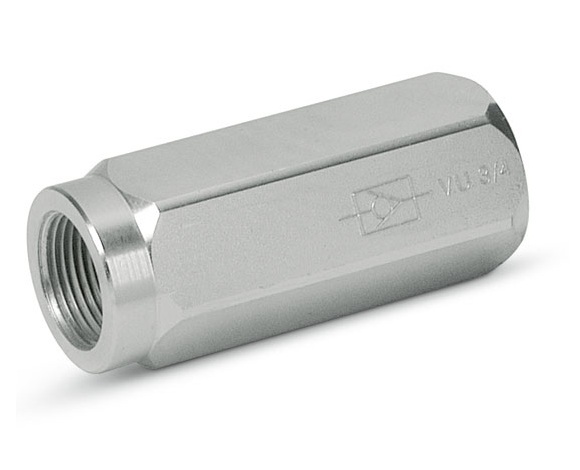 The valve housings have BSP ports for immediate installation into hydraulic systems.